There was a time when we used to wait in line out the door two blocks away from our apartment for a burger. Shake shack. When they first came to upper east side in Manhattan, it was a pure excitement. I thought nothing would beat their burger. We've had our fair share of all kinds of fancy burgers but the winner was always the simple shack burger. 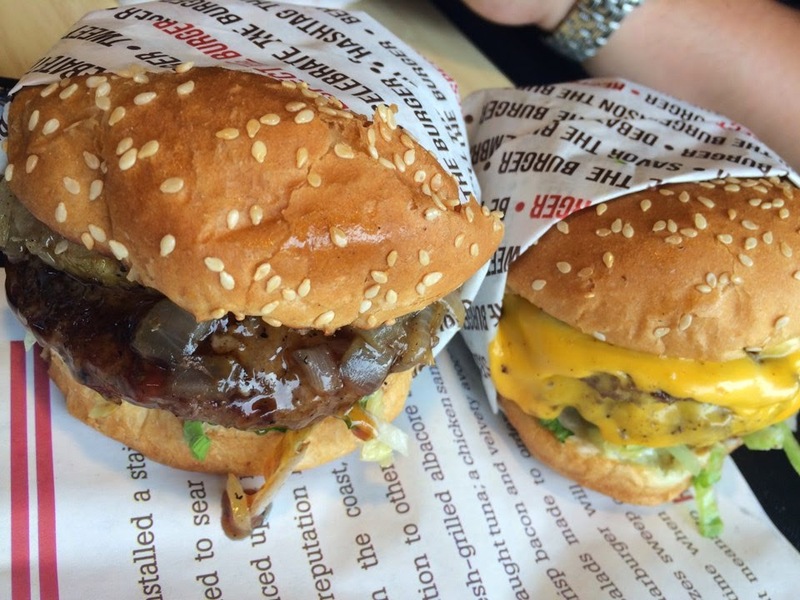 As soon as we heard about this burger joint, people were already raving about it. We had to try it. 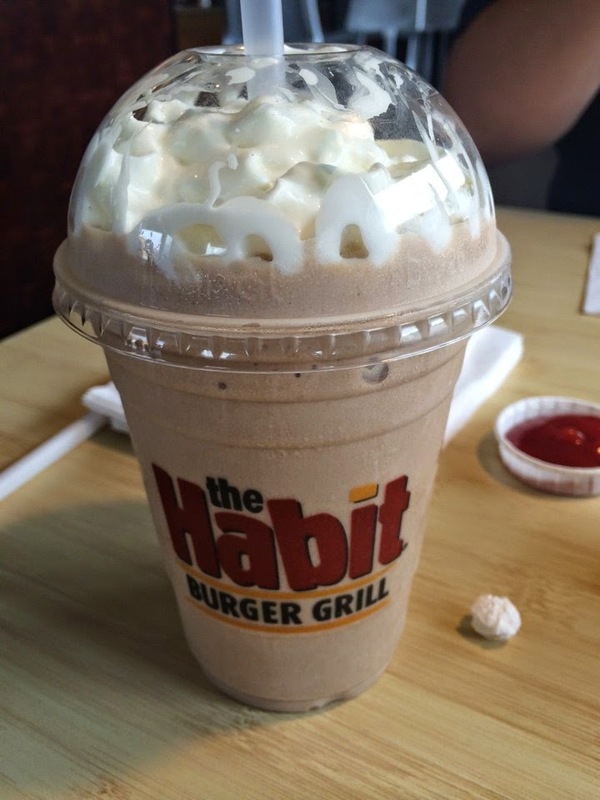 And the winner is...The habit burger! 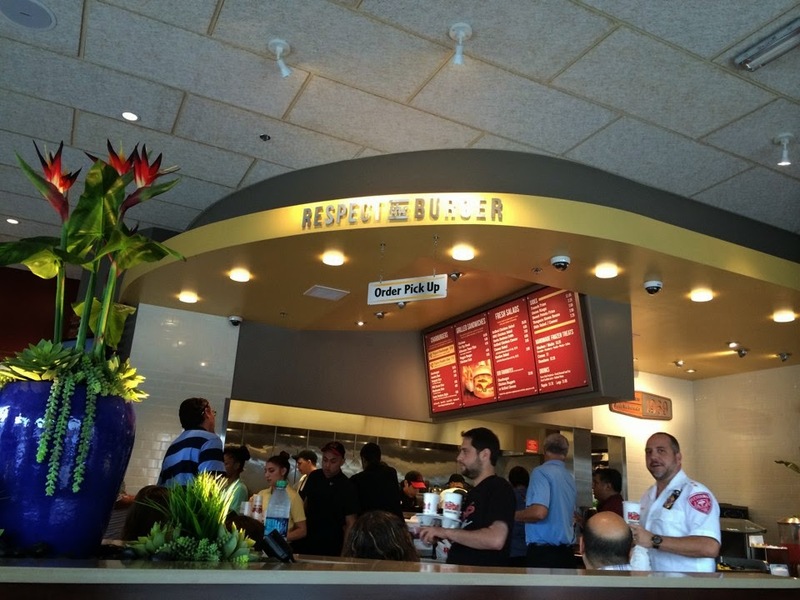 The first thing you see when you walk in is the sigh "Respect the burger". And they mean it! Left is teriyaki char burger I got, and the right is double char burger. Teriyaki char burger comes with grilled pineapple. They claim that burgers come with caramelized onions but it's not the caramelized onions you would think of, it's more like sauteed onions. But it's still good. 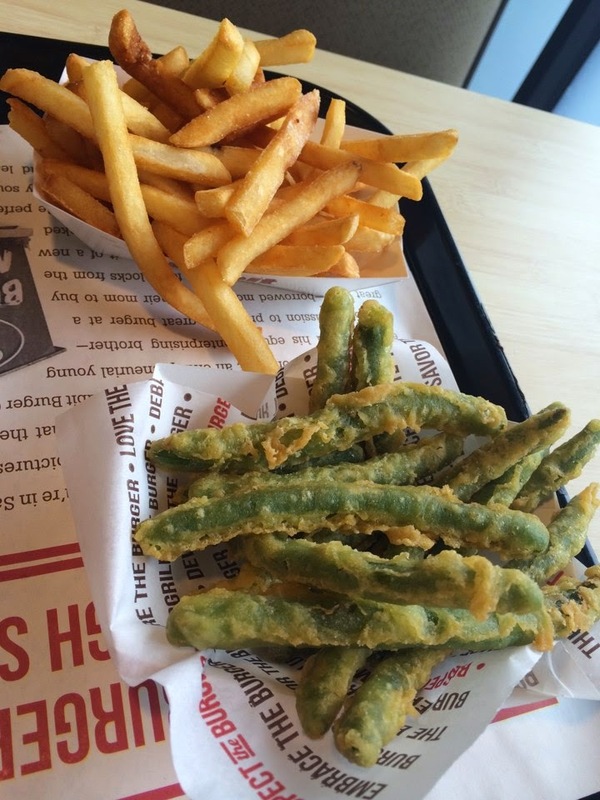 Green bean tempura and fries. Very crispy until we finished it. We enjoyed every bite of it. We also ordered a kid's burger as my tot would eat close to half a burger. Usually, we would make a plate for him from what we order but here, I did not want to share mine. Besides a burger, you have choice of apple slices or fries, soda or juice. And the meal comes with a cute little burger gummy which I told him it's not food. It's a very nice touch. He loved the little burger gummy, he held on to it and stared all the way home. Oh boy..the shake. I got mocha. It is GOOD! Shake shack and habit ties on this one. Next time I'm going to try coffee shake. Overall experience was EXCELLENT! As they seem to cook to order, it wasn't super fast but wait isn't that long considering how busy it was. at 11:30am line was out the door. I thought we were the only ones who eat lunch that early! Service was good, they walk around and clean up the table quickly. Staff are all very friendly yet professional. There's a reason why this started in 1969 and still doing great!